Bishop Alberto Rojas blesses the Holy Doors at Immacualte Conception Church in Chicago’s Brighton Park. April 3, 2016. Pope Francis has declared 2016 to be the Year of Divine Mercy. 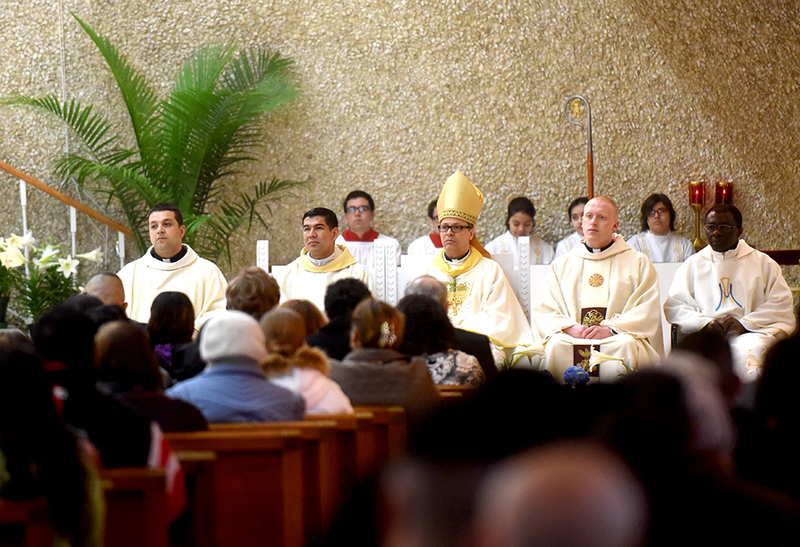 On Holy Thursday, Bishop Alberto Rojas announced that Brighton Park’s Immaculate Conception church ( 2745 W. 44th Street, Chicago, IL) was chosen to be an official Year of Divine Mercy Shrine. Immaculate Conception Parish was founded in 1914 by Lithuanian immigrants. 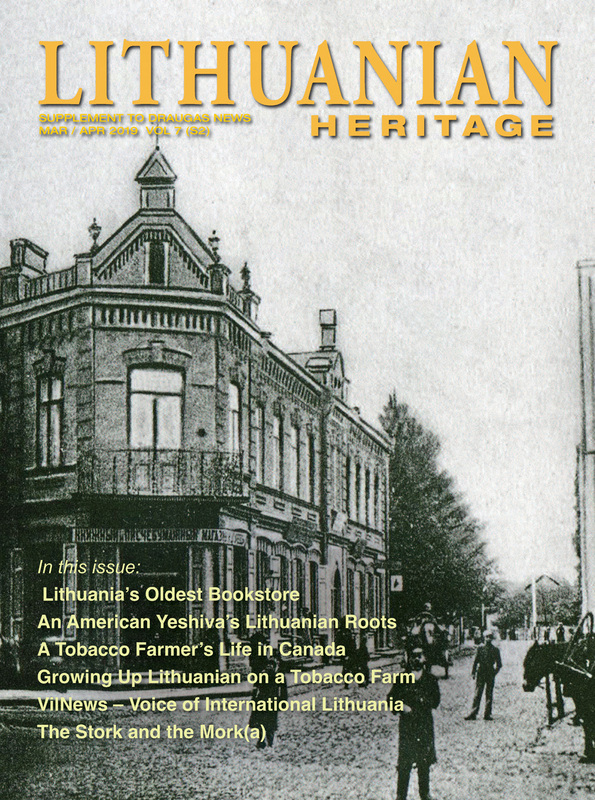 It now serves the local Lithuanian, Hispanic and American communities. 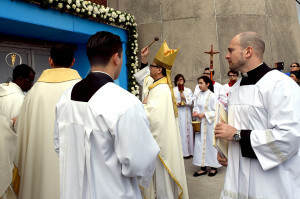 The Holy Year of Divine Mercy Doors, showing the Papal crest, with a blue frame extension and elegantly decorated with flowers, were blessed and symbolically opened by bishop Rojas on Divine Mercy Sunday (the second Sunday of Easter), on April 3rd, at 10 a.m. A crowd of about 600 people was gathered outside. Lithuanian Consul General in Chicago Marijus Gudynas with family await to pass through the Holy Doors at Immaculate Conception Church. April 3, 2016. A new Adoration Chapel was constructed for the Year of Divine Mercy next to the Doors. 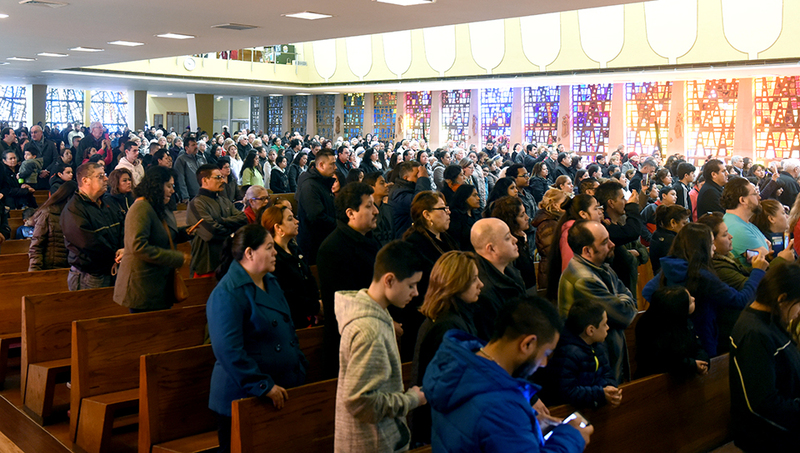 After the blessing, the congregation entered through the Doors into the Church as organist Algimantas Barniskis and the Lithuanian church choir sang, “Alleluia! Alleluia! Let the Holy Anthem Rise” in Lithuanian and English. The Mass was celebrated in three languages (Lithuanian, English and Spanish) and concelebrated by Bishop Rojas, Parish Pastor Rev. Manuel Dorantes, Rev. Gediminas Kersys, Rev. Ben Owusu and Rev. Carlos Arancibia. The procession was started by the cross and altar servers and Gintaras Ilevičius dressed in Lithuanian folk attire, carrying in the Papal flag. 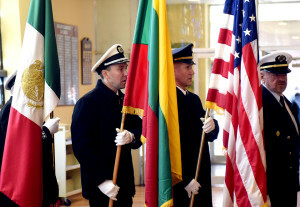 The Lithuanian National Honor Guard (Šauliai) carried in the American, Lithuanian and Mexican flags. Afterwards, the readers and Knights of Columbus came in followed by the bishop and priests. Raminta Mikuckienė read the first reading in Lithuanian. Joana Drutytė chanted the psalm. Šauliai — The Lithuanian National Guard carry the flags into Immaculate Conception Church. April 3, 2016. The second reading was read in Spanish. The Gospel was proclaimed by Rev. 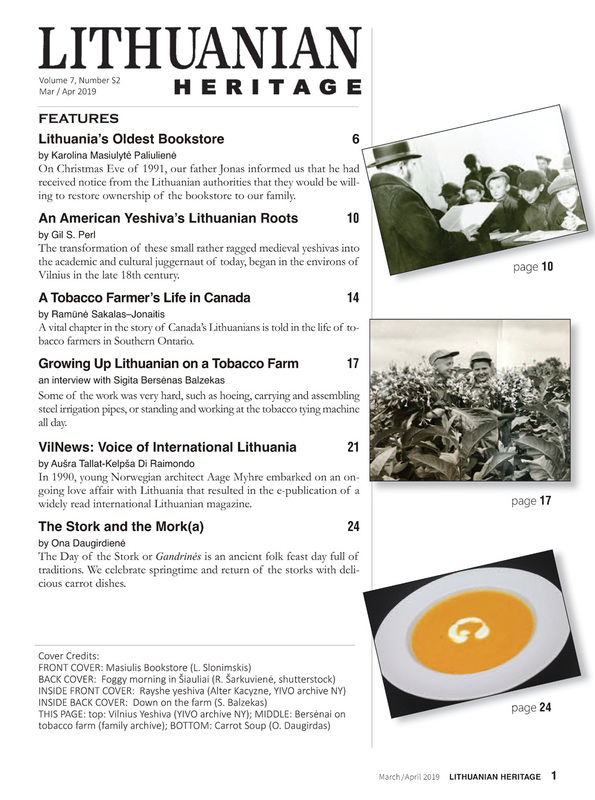 Gediminas Keršys in Lithuanian and Rev. Manual Dorantes in Spanish. The homily was spoken by bishop Rojas and Rev. Keršys. 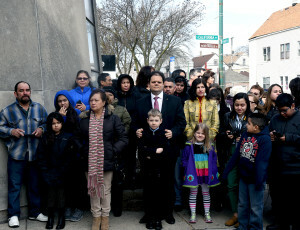 Salome Daulienė, longtime president of the Brighton Park Chapter of the Lithuanian American Community, brought up the offertory gifts together with Spanish and American representatives. After communion, the General Consul of the Republic of Lithuania in Chicago Marijus Gudynas spoke about the Divine Mercy painting inspired by Sister Faustina Kowalska, it’s history and how the original painting is now in a church in Vilnius. Mr. Gudynas invited everyone who has the chance to come to Lithuania to see this original painting. After a final word and blessing from bishop Rojas and the pastor, Rev. Dorantes, the Mass was ended with a recessional hymn and procession. 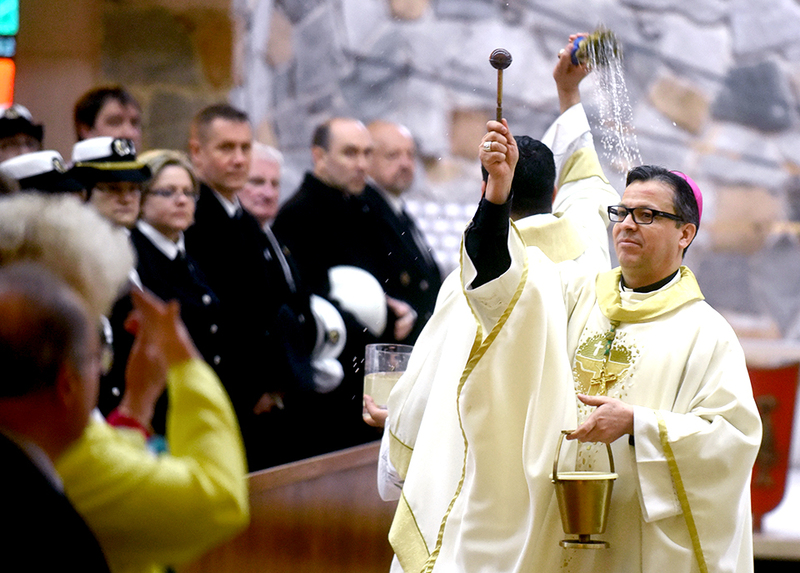 Bishop Alberto Rojas blesses the faithful at Immaculate Conception Church in Chicago’s Brighton Park. April 3, 2016. During the mass. April 3, 2016. 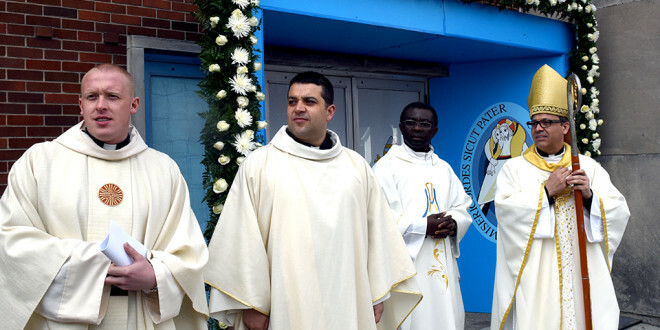 Parish priests. April 3, 2016.